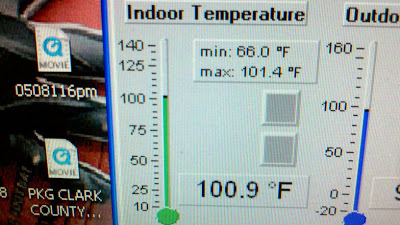 Yup, that is correct... 100+ degree heat inside my house the last few days. The A/C went out early Tuesday and the house has been a sweat box since. Luckily it was fixed late last night and the house cooled off pretty quickly, but MAN it was hot! 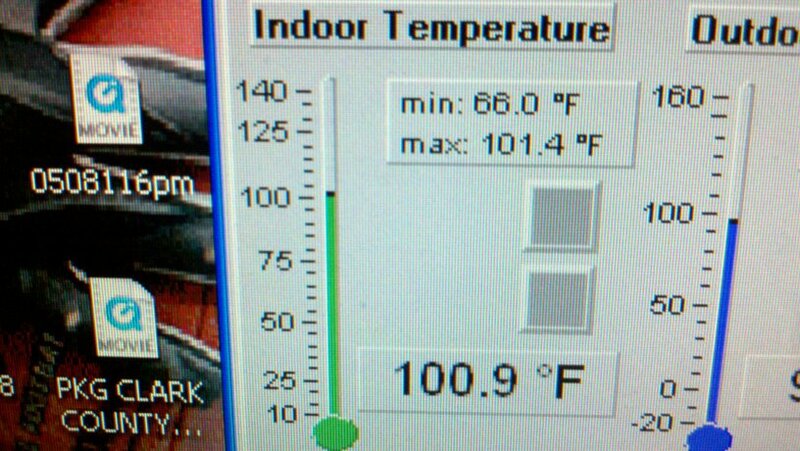 We maxed out at 101.4, but it just sat there... I think the sensor on the weather station maxed out there regardless...but the 78 degrees when I woke up felt wonderful. We already have a few storms popping up this morning. The humidity will help fuel the storms later today and into tomorrow until the cold front finally pushes through. Some of the storms later today and tomorrow will have the slight chance of becoming severe... the main threats will be strong wind and large hail, but there is a very small chance that the storms may become tornadic...mainly for the Northern Miami Valley. The Northern part of the area will have the best wind shear, change of direction with height...which helps with rotating updrafts. No worries, we will be monitoring the situation closely through the day and if severe weather does happen, we will be ready to let you know. Keep an eye and ear open for that...but start planning for Sunday because it is going to be awesome outside! Low humidity, cooler temperatures...I may need a jacket after getting used to 100 degree heat the last few days, haha. I will be back on here soon, until then have a good one!